Decorating a home can be fun, and undoubtedly the best way to approach the task is by looking at as many gorgeous apartments as possible. But it's easy to get caught up in one particular detail and neglect to think of your decorating project as a whole. 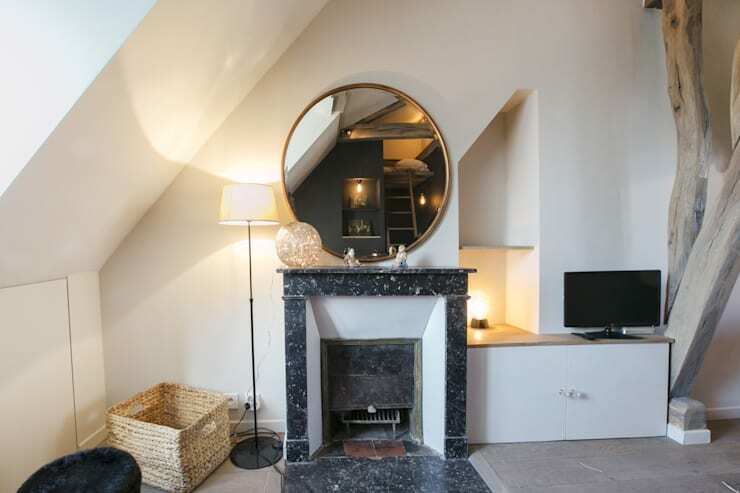 So today we will take you on a mini-tour of 7 great apartments, all under 80m². 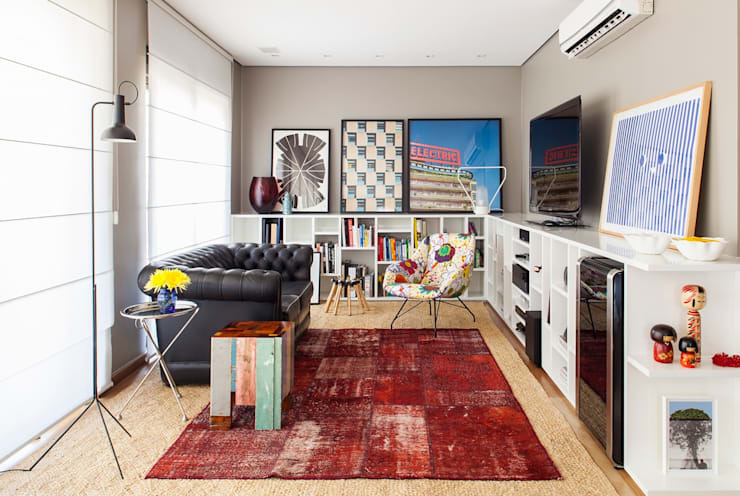 One has a dash of Brazilian colour, another a Nordic feel, while the others exude cool minimalism. 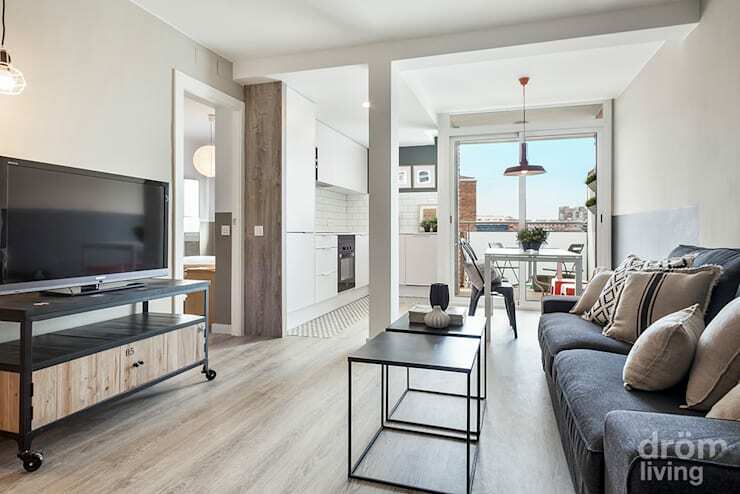 All of them show how clean and easy small living can be with the right decorating choices. We bet you'll want to copy at least one of them! 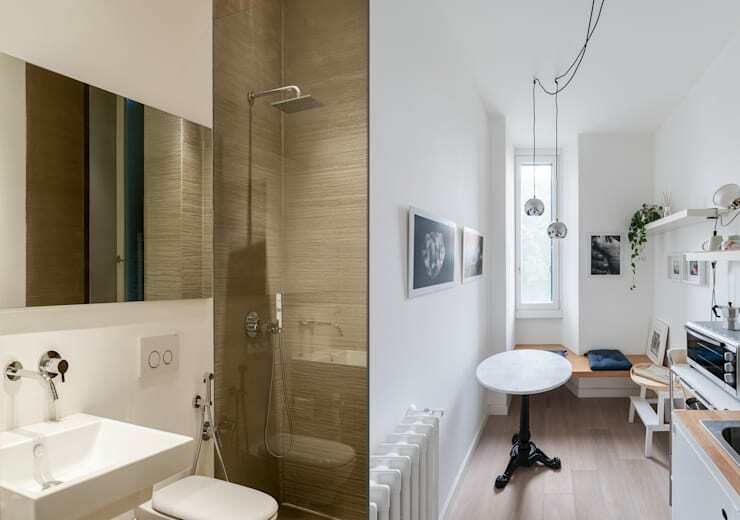 This elegant Italian apartment is built on the shores of the famous Lake Maggiore. 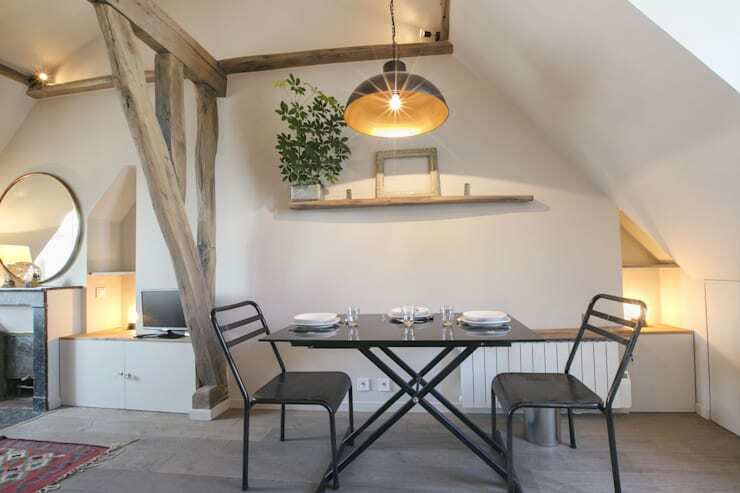 It has a refined combination of modern designer furniture and classic pieces. 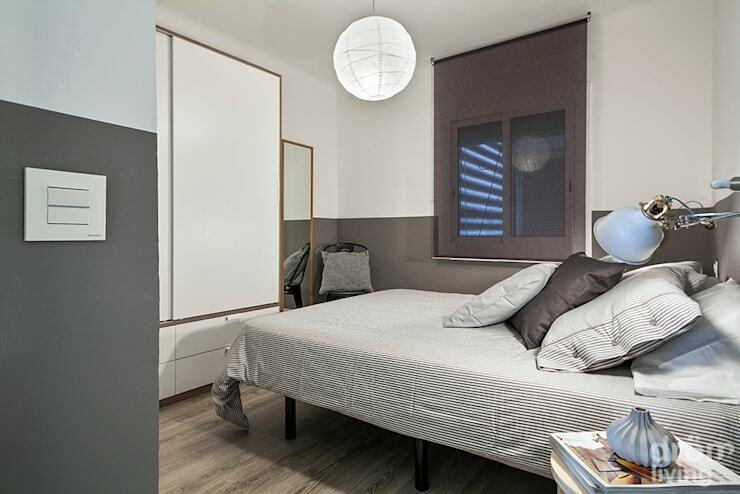 It may be just 70sqm, but with walnut wainscoting, sheer curtains, valuable artwork and highly polished floors, it's a small apartment that just exudes luxury. 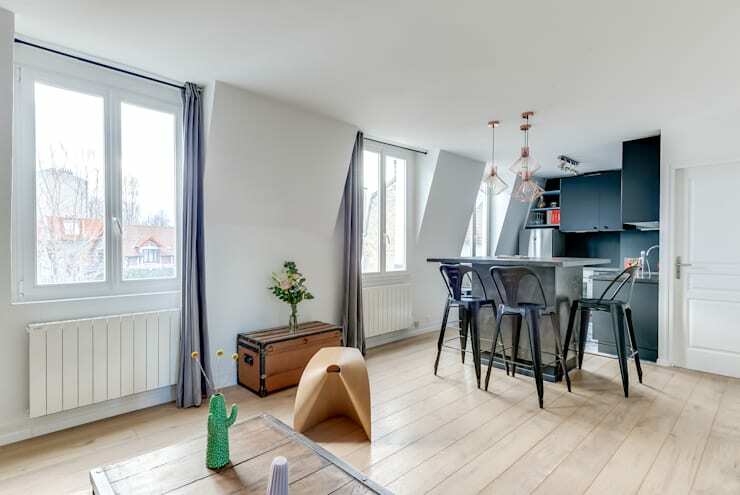 Interior designers HBSTUDIO have turned this simple white 75sqm apartment into a great home for a couple with a small child. 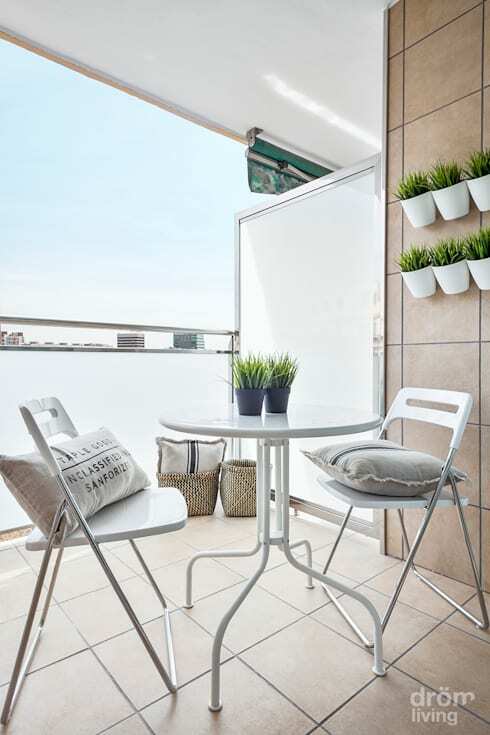 The white walls bounce around the natural light and make the apartment feel breezy. But it's the furniture choice and arrangement that really makes this home feel cosy. The pieces are a bright mis-match of colours and textures that add real family warmth to the living room. Note how the furniture has been arranged in clusters that both divide the space, and enable people to face each other while socialising. 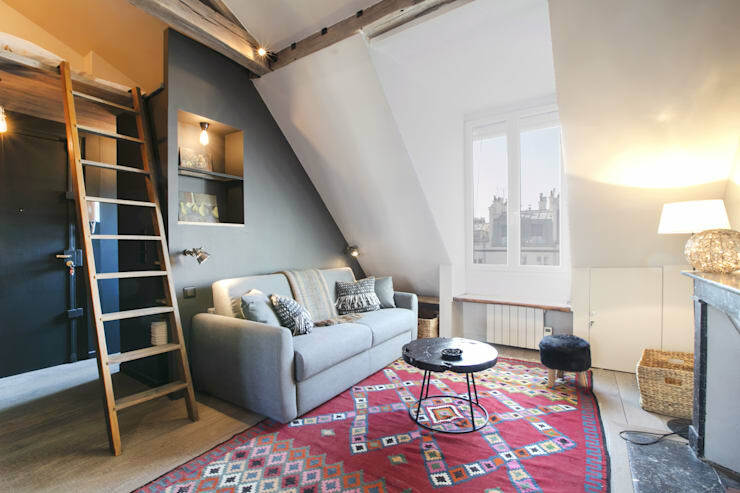 This little one-room Parisian apartment has been designed with a sort of rustic Nordic aesthetic. 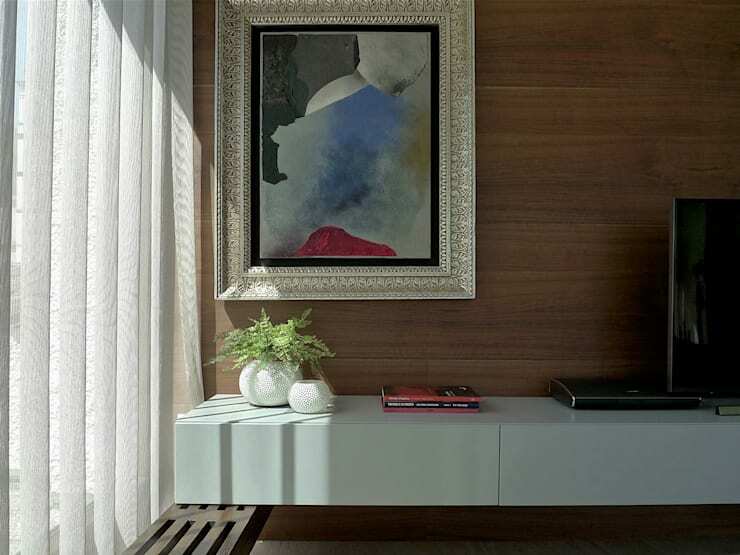 The base colours are light and earthy, while the furnishings add splashes of colour. 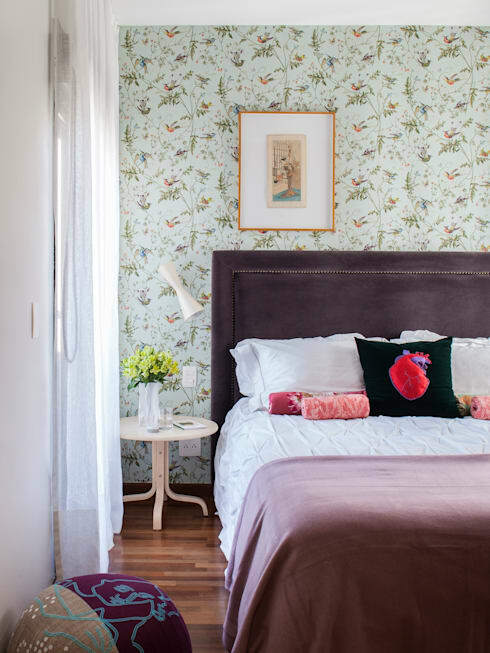 There are lots of beautiful nooks here to inspire anyone looking to style up a small home. 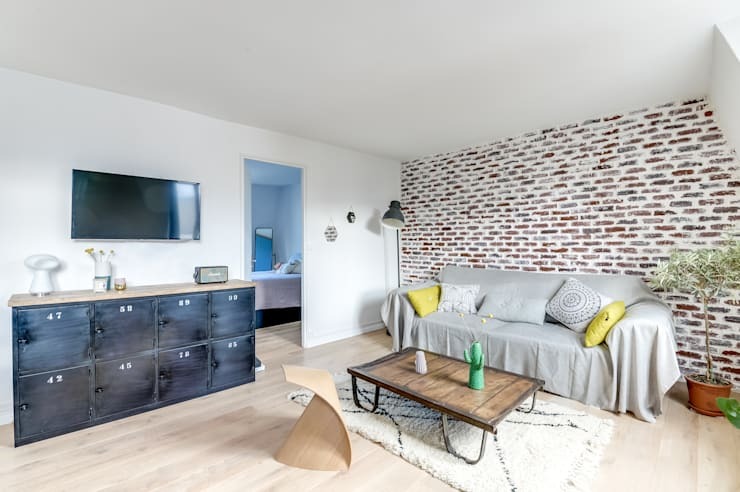 Particular points of interest include the inset wall shelf in the living room with the little dedicated light, the black feature wall and the single shelf running along the wall of the kitchen. 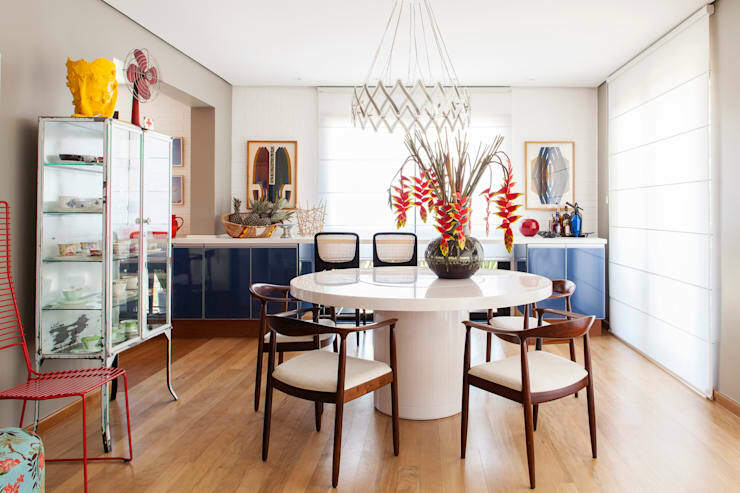 Brazilian designers have a very particular style that often brings a lot of life to any home. 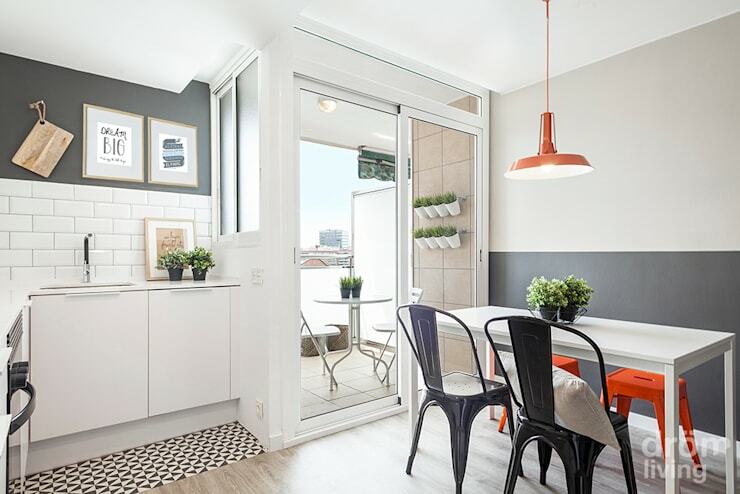 This cheerful one-bedroom apartment has lots of sharp contrasts, high-gloss surfaces and tons of colour. There are a huge variety of colours, shapes and details on show here. Check out the art wall in the living room. The incredible thing is that it doesn't look chaotic. 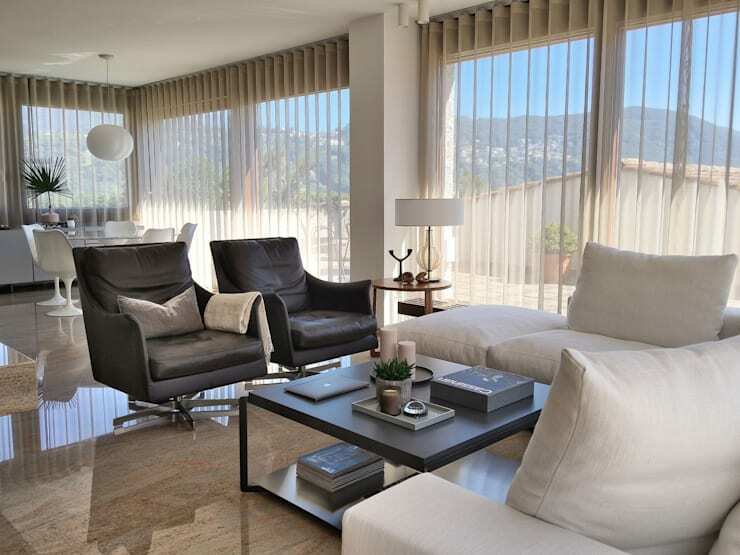 In fact, most rooms have a strong, white base and the end result is quite refined and sophisticated. The secret to making minimalism work in any home—particularly a small home—is taking care with the details. 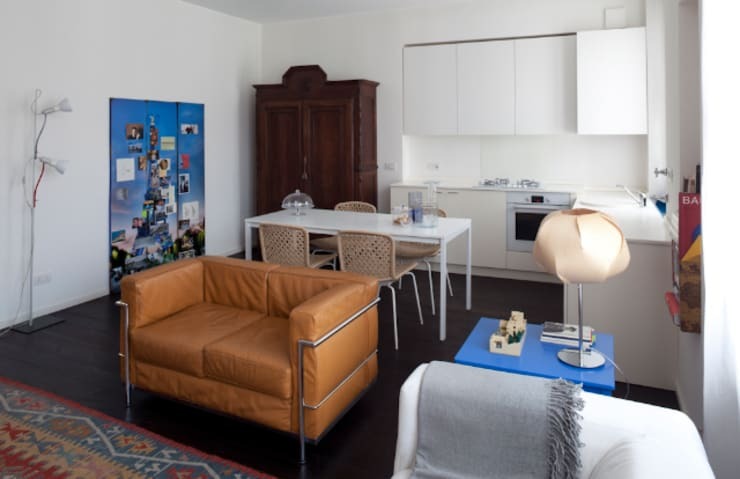 In this 75sqm Italian apartment, the architect Fabio Azzolina has few elements on display. But there is a definite sense of balance and flow in each room. 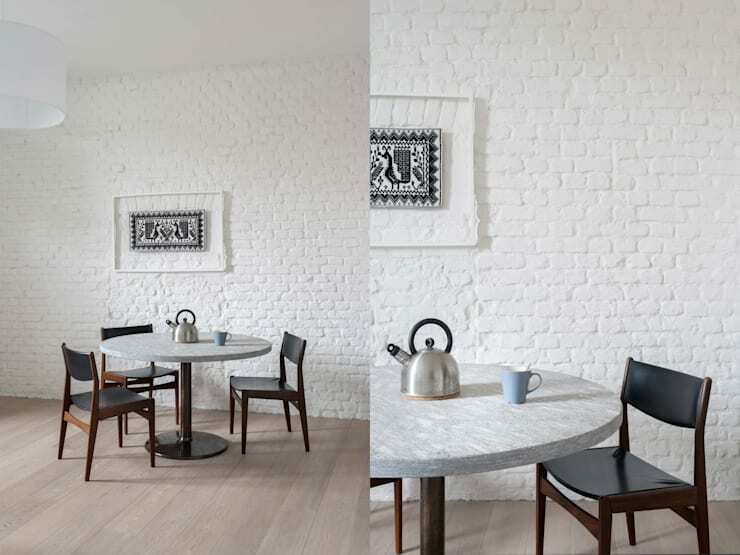 We love the small bench that wraps around the edge of the little white room in the second shot and the beautifully textured white painted brickwork in the last shot of the dining room. This home may be only 60sqm, but it still manages a bright, airy feel and some strong hints of industrial chic. It's a modern home, but this industrial look has been cleverly created with a smart choice of furniture, black kitchen and a faux brick wall. Of particular interest here is the unusual choice of furniture. An upcycled chest, an old locker and an old wooden door add a playful, slightly bohemian vibe to the home. Finally, note how the kitchen island separates the kitchen from the living room and how black kitchen looks quite striking when set against the white walls. 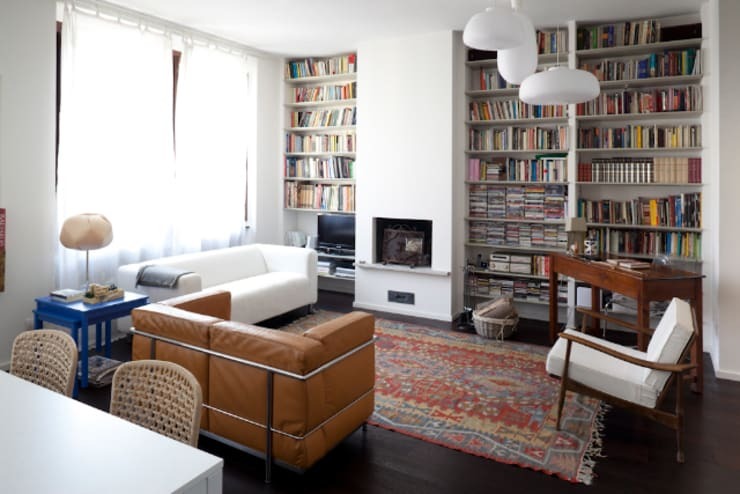 Our tour will end with this 60sqm apartment in Barcelona. The kitchen is quite small, but feels a bit more spacious and sociable due its proximity to the balcony and the little window. 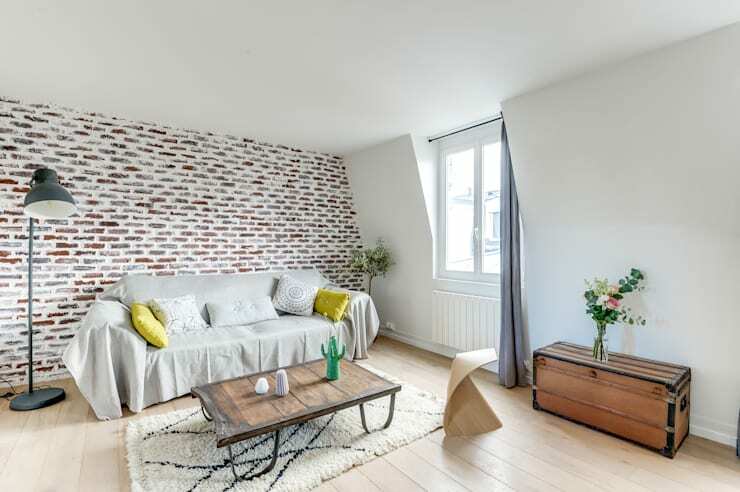 We love how it has been bounded with a small strip of geometric floor tiles. All the natural light comes from one side of the home, but it feels quite spacious and cheerful. The living room also doubles as a passageway and the furniture has been arranged to create a clear and easy flow of traffic. 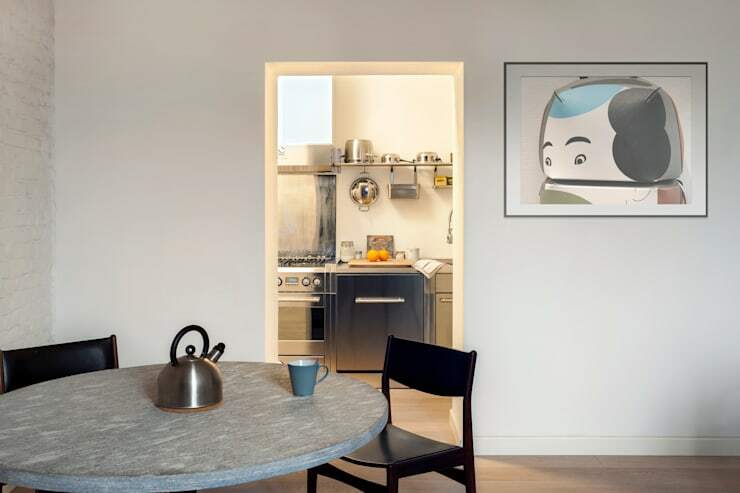 The takeaway elements in this home are the little details like the small wooden feature wall in the kitchen and the light beige shade on one wall of the living room. 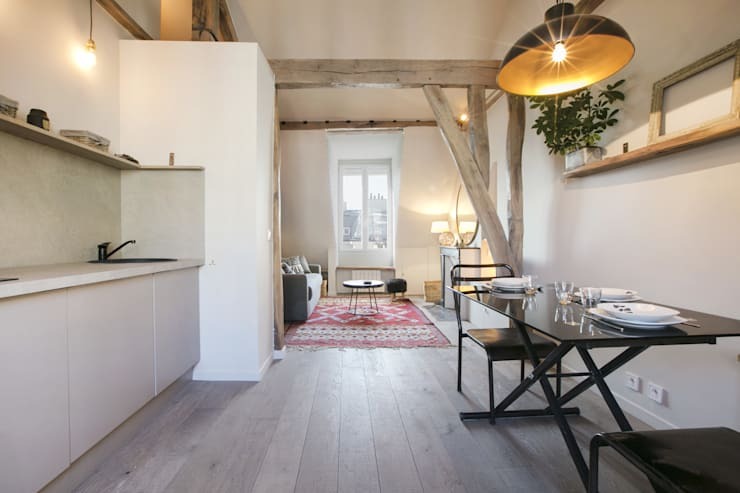 For more home inspiration, have a look at A dreamy apartment that proves why neutrals rule.